In 1963 Judith Durham, a shy young Australian jazz singer, joined Keith, Bruce and Athol to form The Seekers. Within a year they were one of the biggest selling bands in the world with number one hits in the UK, USA, Australia and many other countries. To date, they have sold over 50 million records – the same as Robbie Williams! 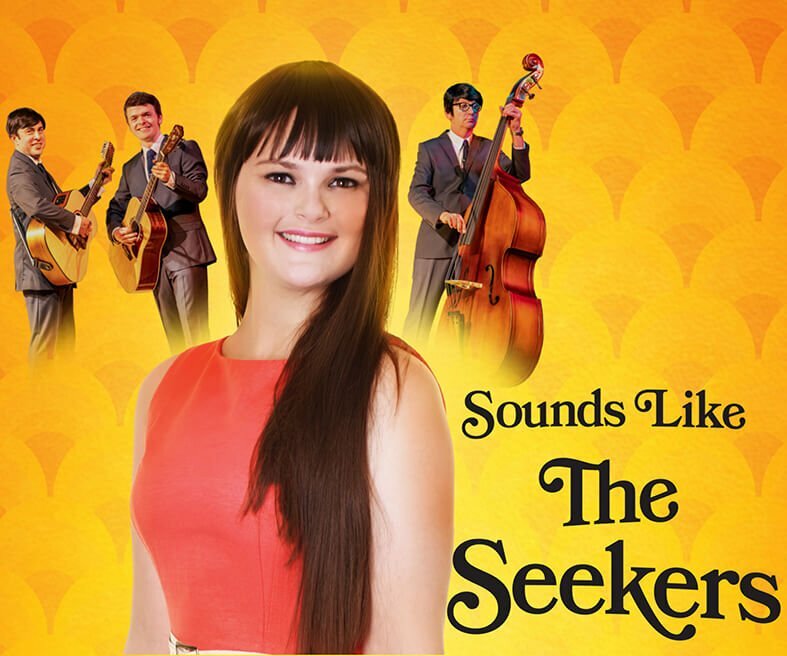 Samantha, singer with Sounds Like The Seekers, recreates perfectly the voice and personality of Judith Durham and the group will entrance you with some of The Seekers’ greatest songs including hits such as Georgy Girl, A World Of Our Own, I’ll Never Find Another You, The Carnival Is Over and many more. “Effervescent.” The Southern Evening Echo. Samantha has performed in Japan, Las Vegas and all across the UK. In 2019 the show will be touring internationally.